Snap off tough ends of asparagus and discard. Cut spears into 1-inch pieces. In 2-quart saucepan, heat 1/2 cup water to boiling. Add asparagus and corn; reduce heat. Simmer uncovered 5 to 8 minutes or until asparagus is crisp tender; drain. In small bowl, mix mustard, honey and lemon-pepper seasoning. Stir into hot vegetables. 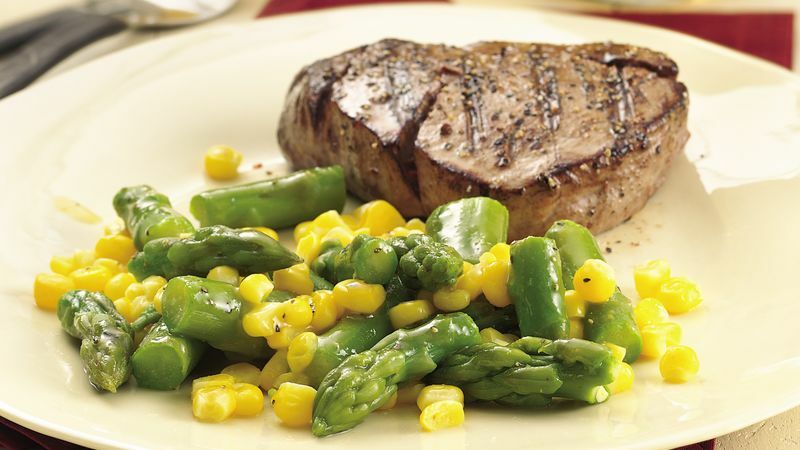 Green beans, cut into 1-inch pieces, can be substituted for the asparagus.